Tate is waaaaaay into cupcakes lately. Can't say that I blame him because cupcakes are rad. 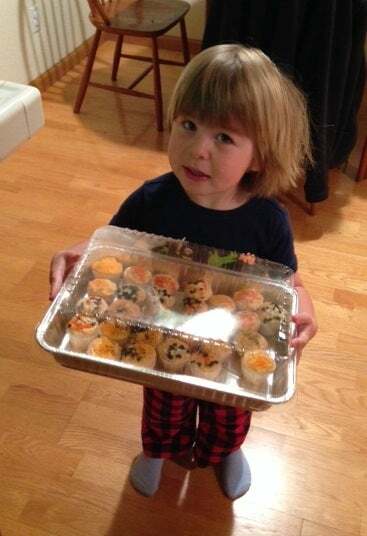 So, he and my mom made cupcakes for his school friends. He's super stoked about it.